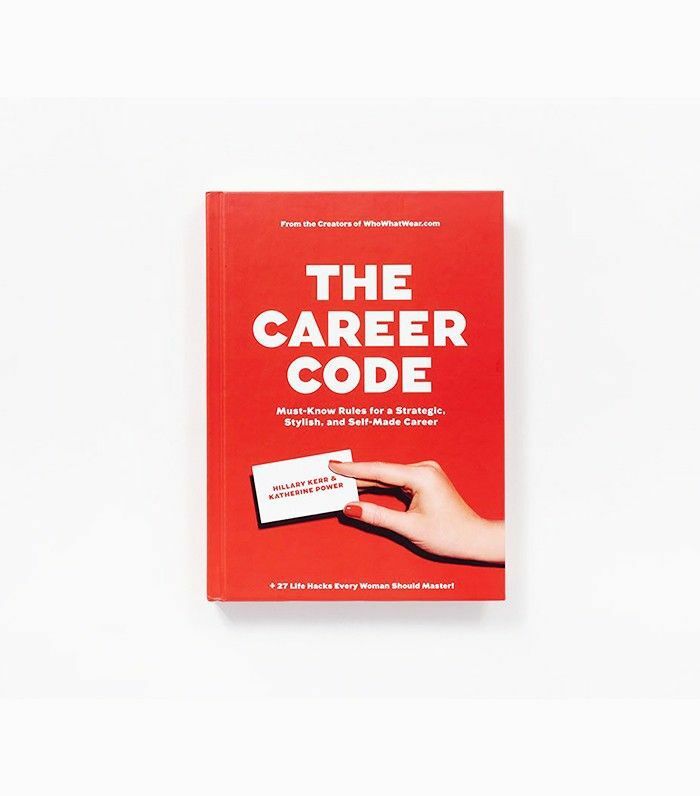 In honor of Hillary Kerr and Katherine Power’s new book, The Career Code: Must-Know Rules for a Strategic, Stylish, and Self-Made Career ($12), we’re kicking off an interview series featuring 17 questions (in honor of the book’s 17 chapters) about the work lives of the most inspirational female leaders in the beauty industry. My first time seeing Alison Brod was on MTV's The City. I'll never forget when Whitney Port walked into the Alison Brod Public Relations office (an unforgettable space doused in pink, complete with countless jars of candy) and sat down with Brod herself to discuss the representation of her clothing line, Whitney Eve. "Are you wearing Whitney Eve right now?" Brod asks her. My palms started sweating for Port, and I wasn't even in the room. You could tell right away that Brod was a no-nonsense kind of businesswoman who knows PR like the back of her hand. It's no wonder a complete stranger in an elevator told her that if she ever launched her own company, his new fragrance could be her first client. The fragrance? Oh, just a little brand called Burberry. Brod obliged, and the rest is history, but the perspective she's gained along the way is worth digging out of the archive. Keep scrolling to learn how to be an entrepreneur, à la Alison Brod. "Most of what you read or view when it comes to brands probably has a publicist behind it in some capacity, shaping stories and marketing and giving information to assist media and influencers." "It's difficult. Everyone thinks we just plan and go to parties. But, how many jobs do you need to be a great writer, public speaker, salesperson, strategist, researcher, diplomat, and manager all at once?" "I wore a navy blazer and pleated skirt with a white cotton tank top, and the recruiter told me to change because she thought the tank top was too casual, which is ironic because I wear 6-inch heels every day and have worn jeans probably twice in the past 15 years. That was probably the last navy blazer I wore as well." "I feel extraordinarily lucky that I was able to spend a vacation with my top pick, Richard Branson, on his slice of paradise, Necker Island, and I grilled the poor man for days with questions. He is a skilled listener and storyteller and creator of fun." "My industry is the world. I need to know everything that goes on in every industry. I like to feel a newspaper, so I read print editions of The Wall Street Journal, The New York Post and The New York Times every single day, and WWD and The New York Observer. I go to sleep at 2 a.m. and spend hours after getting home from events going through all of the sites, from Thrillist to Racked to New York Magazine. People like me used to be called 'voracious readers' back when people read more than captions. I love Bloomberg Businessweek as well." "Sometimes it is better to keep your mouth shut and just keep the client happy." "Wearing hot pink, because anyone can wear black. And 6-inch heels, which I do daily." "When that day happens, it's all over." "Try to replace yourself with someone better than you." "Sugarfina candy. I am an investor, and we have a 'candy store' with hundreds (possibly thousands!) of boxes of candy which often become lunch. Also, a well-done plain hamburger with ketchup only at least twice a week—yes, with the bun, whether I order in or go out. Peanut butter on anything that is in the office with a honeycrisp apple, perhaps the most perfect apple in creation." "Not speaking. When I complain about this, my staff tells me the person is very shy, and my answer is that perhaps they should not be in public relations. I understand that navigating the flow of an office and clients like ours, can be very, very intimidating, so I am not suggesting they produce Sheryl Sandberg–quality speeches, but find something to say. Make your presence known in the best way that you can. That said, I have seen people not say a word to me in the first year who have become some of my top people today, so I'm learning patience.‎ As for my peers, if I told you, I would give away my hand at how I try to beat them." "Anyone who does more than post selfies and pictures of themselves holding ice cream cones. I love following all of my clients—is that a good answer? To laugh, I follow @TheFatJewish. I love when people provide something amusing or informative in a caption and restrain themselves from overindulgence before the internet explodes." "I speed-read five actual print newspapers in the Uber ride into the office while talking to my boyfriend on my Blackberry; he's in his office before I am even awake. Then late evening, I fall into the deep rabbit hole of the internet until I have exhausted all of my questions for the day and play Words With Friends with my son. I am out four to five nights a week and currently working on better sleep habits." "Don't say 'I,' say 'we,' which I learned from my very first client when I was 25. Everyone knows you mean 'I,' but you sound more gracious." "Together with my very smart top executive team, we are creating new marketing programming on the influencer side, and we are actually about to change the name to Alison Brod Marketing & Communications. We believe everything is public relations, but the perception of that term is limiting, and we are a development and strategic marketing agency as much as we are in love with working with the media. And we think when they go hand in hand, magic happens. Well, carefully orchestrated and planned magic." Want more career advice? Anastasia Soare of Anastasia Beverly Hills has some for you.